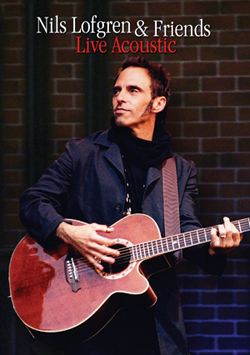 This DVD features a full-length live performance of Nils Lofgren and friends including Jeffrey "Skunk" Baxter, Mary Ann Redmond, Tommy Lofgren, Buck Brown, Paul Bell, Mike Lofgren, and Mark Lofgren. It's a six-camera shoot from a February 2006 gig. He and his band perform eighteen brilliant songs at the Birchmere in Alexandria, VA, including "Black Books," "Valentine," and Bruce Springsteen's "Because the Night"; bonus features include six additional songs and two extra featurettes: interview footage and rehearsals.